It’s been nearly a century since Wisconsin became the first state in the union to ratify the 19th Amendment to the U.S. Constitution, which guaranteed women the right to vote, and yet women hold less than one-quarter of elected offices in the state. Why don’t more women run for office? Do women offer different leadership skills than men? And would our communities, state, and nation benefit from having more women in office? The answers to these questions are as varied and nuanced as the views of the Chippewa Valley’s female officeholders themselves. Whatever it is – a shared method of communication, similar habits, experiencing a similar culture – Kincaid said she and the other three women on the Eau Claire City Council share a similar language during debates and discussions. Mitchell said she’s never felt opposition from voters because of her gender. However, during her previous career (she was a longtime official at UW-Eau Claire), she sometimes felt that, as a woman, she didn’t receive the respect she should have. Because of this, she made doubly sure she did her homework. “That habit has stuck with me, and it has been helpful,” she said. Councilwoman Catherine Emmanuelle, a veteran of five years on the council, said she has encountered sexism in the political arena, including a “whispering campaign” that she had never held a job before seeking office (which was untrue). “I also remember people encouraging me not to run because someone had to take care of my young child,” she said. “And truly, someone told me that as a young woman I wouldn’t know how to properly vote on sidewalk policies.” In reality, she explained, being a mother informs her decision-making on many issues – including the need for sidewalks. With four seats on the 11-member Eau Claire City Council, women make up 36 percent of the body. Meanwhile, 11 of 29 members of the Eau Claire County – or 38 percent – are women. Those figures are comparatively high: Statewide, women hold only 23 percent of all local elected offices, a 2015 survey by the Wisconsin Women’s Council found. The figure for the state Legislature is identical, while roughly 20 percent of seats in the U.S. House and Senate are held by women. 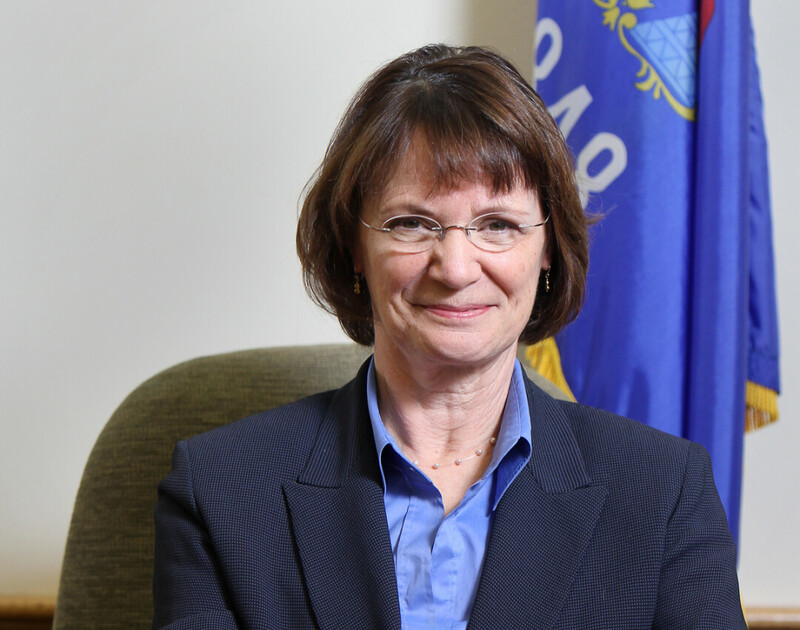 When Colleen Bates was first elected to the Eau Claire County Board in 1982, she was one of only four women. “I can say very honestly that I had a few incidents where the door was closed in my face and I was told they would never vote for a woman,” she said of her early campaigns. Female elected officials in the Chippewa Valley include, left to right, Chris Hambuch-Boyle, Catherine Emmanuelle, Colleen Bates, and Kathy Mitchell. Bates acknowledged that being one of the few women on the board was intimidating, so she worked especially hard to make sure she was well-informed. “The whole issue was trying to gain credibility, to be someone who the board thought came prepared,” she said. Over the decades, things have changed for women in elected office, as more females have risen upward in higher education and the workforce. “I feel we have a lot of very bright, very capable women who have to look inside themselves and see if this is something they want to do,” Bates said. Emmanuelle, the City Council member, said there are many factors at play in the dearth of women in public office. “There is research that says that women don’t feel they are qualified to run, need to wait for the ‘right time,’ are conflicted on how to balance family responsibilities, and don’t think they have the right credentials to be involved,” she said. Improved family-friendly policies are needed to encourage more people – regardless of gender, income, sexual orientation, or other status – to run for office, Emmanuelle added. “Having more women elected would help to normalize women sharing political power and lending their voices to literally give life and shape our communities – through policy ideas, actions, and successes,” she said. Mitchell, the City Council member, said the nation’s current political climate has given women more impetus to seek elected office. “I think that goes right back to our president and his views on women,” she said, alluding to the women-led protests that followed the inauguration of Donald Trump and the subsequent profusion of female political candidates nationwide.